Western Digital’s Ultrastar He6 is the only 6 TB drive on the market. Released in November, the Ultrastar is hermetically sealed, fits 7 platters in a 3.5″ case and it utilizes helium’s low density to achieve its large capacity. 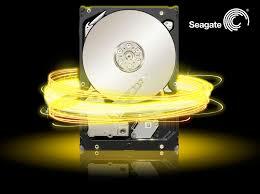 This April, Seagate follows in the footsteps of WD with its own 6 TB. Seagate’s drive is built for the enterprise sector, it’s expected to fit 6 platters in a single case and with the help of helium it will consume less power. “We are continuing to expand our offering of high capacity drives with our six-disk, 6 TB drive shipping early next quarter.” – Steve Luczo, Seagate CEO. WD’s Ultrastar He6 provides 50 percent higher capacity when put alongside other 3.5″ drives, it’s also lighter at 38% lower weight per TB. Seagate’s 6 TB drive is expected to utilize Shingled Magnetic Recording (SMR) technology that would give a 25% raise in storage density.